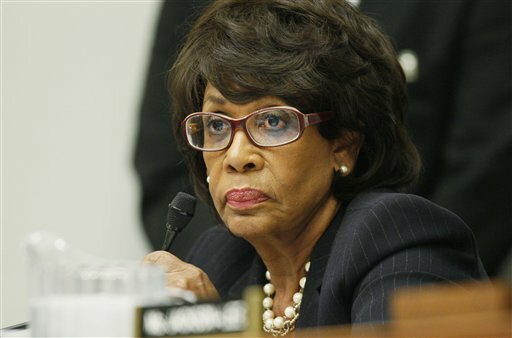 Maxine Waters is facing 3 ethics violation charges. It seems that she tried to help her husband's bank get some bailout money. Waters' husband, Sidney Williams, owns stock in OneUnited Bank. He is a board member of the bank as well. All of Waters' alleged ethics violations stem from allegedly helping her husband's bank without properly disclosing a conflict of interest. Charles Rangel has had a series of ethics violations that have already cost him his chairmanship of the House Ways and Means committee. Maxine Waters, by contrast has only 3 ethics violations all connected with the same ethical lapse. A video has come to light that puts Maxine Waters in line for the coveted Eliot Spitzer Award For pompous Hypocrisy. In 1995, Newt Gingrich was facing 3 ethics violations, just like Maxine Waters is today. Maxine Waters swaggered up the podium and angrily denounced Gingrich thundering "What's good for the goose is what's good for the gander!" Now it seems that Waters has joined the goose of her cliched metaphor. It reminds me of Eliot Spitzer, who as attorney general was relentless in hunting down malefactors. He had some alleged blue collar criminals marched out of their offices in handcuffs in front of stunned colleagues. Some of the humiliated suspects were later acquitted. When Alan Hevesi used a government limo to transport his wife to doctor's appointments and on shopping trips at a time that she was battling colon cancer. Instead of cutting Hevesi a break, Spitzer forced him to resign. So when Spitzer was nailed for going to prostitutes, along with whatever crimes were committed in paying for their services, no one wanted to give Spitzer a break. Publicly humiliating suspects who turn out later to have been innocent as well as driving a man whose wife was battling cancer out of his job did not elicit public sympathy. Spitzer had run sacharin sweet ads touting his own high morals. Later on, those ads came back to haunt him. Instead of forgiving "client number 9" cavorting around with hookers while insisting on wearing his socks, people decided to let him twist in the wind. I was ready to cut Maxine Waters a break for a single lapse in judgment. I see how ready she is to jump on someone else and even swagger up in front of a live mike to denounce him. I was ready to cut Maxine Waters a break. I think instead that I will give her 9 pairs of white socks and a framed portrait of Eliot Spitzer.